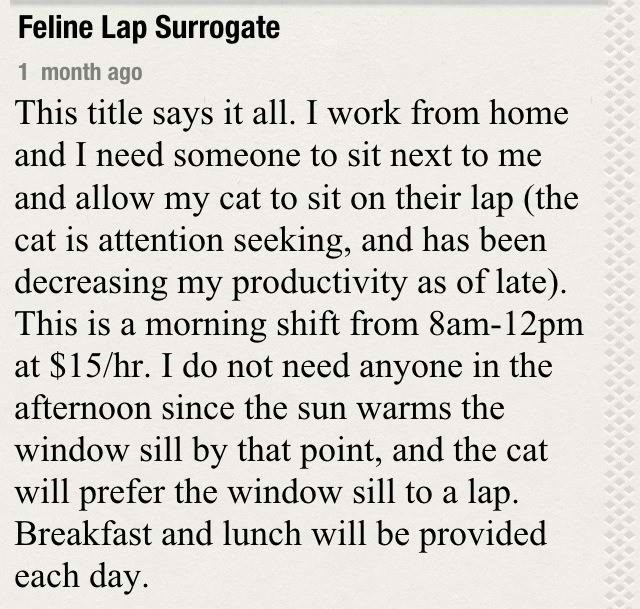 Weird Craigslist ad for feline lap surrogate. Need a job? Some people really like their kitties. I am very curious as to what this Craigslist poster does for a living that they can afford $60 a day, PLUS two meals, to hire a lap surrogate. That cat is probably going to grow up to be very spoiled.